Our newest class to our self love roster! 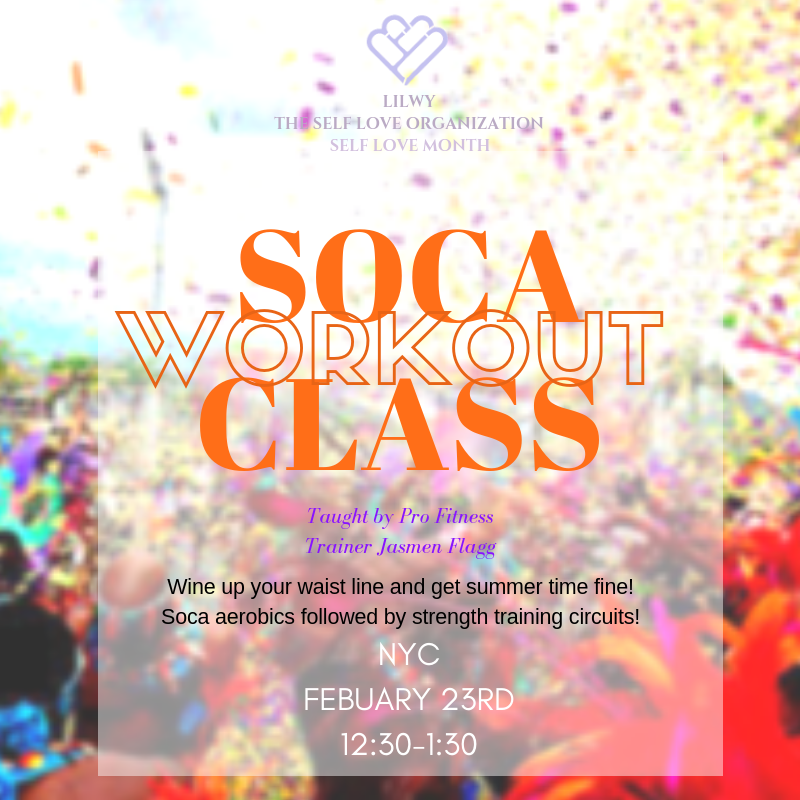 This amazingly fun SOCA AEROBICS WORK OUT CLASS will get you summer body ready! Lead by pro fitness trainer Jasmen Flagg ! Burn some clarions while jumping and waving!